Breathing exercises are valuable for effective mind control. 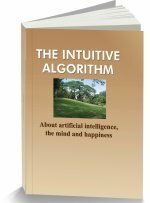 Your mind is usually troubled by the subconscious drives, which are set off by the more primitive animal intelligences within you. Primeval life threatening struggles set the original context for the responses of those intelligences. Today, elephants hardly bother you. The perils which disturb you are milder, like a rude clerk, or a delayed flight. Sadly those old knee jerk responses still react to these trivial problems. They initiate anger or fear signals from the amygdala, an ancient organ in your brain. Those signals trigger troubling activities within you. Breathing exercises still those signals and place RI, your highest level of consciousness, in calm control. They support the effective mind control routines. Freedom from troubling drives requires a calm and creative attitude towards the more significant problems you face in life. Such issues trigger subconscious searches within you, which ceaselessly seek tolerable solutions. Visceral reactions occur when those hidden searches encounter the dire prospects of failure. You can quiet these troubling searches by having a plan, which clearly meets those problems. 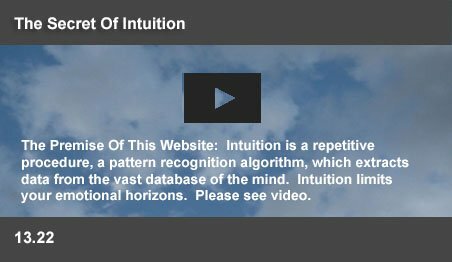 This website offers you a self improvement plan to unite the different levels of your consciousness to agree to an acceptable approach to life. Quieting your search drives with such a plan is an essential early step for the effectiveness of your breathing exercises. Anger, or fear signals are triggered within the blink of an eye. Act to reduce the possibility of their being triggered. During the course of a day, stressful events as wells as poor postures will tighten many of the 60,000 muscles in your body. Tensed muscles often remain tightened and do not automatically relax. Vicious cycles of tensed muscles, irritability and resulting tensions prevent stillness. You can learn exercises, which can instantly relax your muscles. A relaxed body reduces the prospects of anger, or despair and assists your breathing exercises to bring you closer to tranquility. Getting to be late for an important appointment, or a lack of understanding from a friend may trigger transient visceral responses within you. Stress triggers the production of the adrenal hormone cortisol, which supports bodily functions designed to cope with the fight or flight response, including increased heart rate. Simple exercises can disperse the adrenaline and dissipate petty concerns. When you have overcome such unhealthy responses, your breathing exercises will be more effective. Being RI, the investigative common sense part of your brain, your prefrontal regions provide a home for the neural equivalent of your soul, the ghost within. RI supercedes an earlier mammalian brain, which acted in the context of social relationships. In this milieu, the earliest reptilian part of your brain made decisions based on smells. That “nosebrain” took a deep breath to investigate whether food was edible, or inedible. Those investigations required instant inhibition of disruptive emotions. So, now, millions of years later, when you stop and take a deep breath, your emotions become less noisy and your common sense steps in. Inevitably, breathing is believed from ancient times to have mystic and calming properties. Normally, people use only their chests to take shallow breaths and fill only a small fraction of their lungs. Regular practice of breathing exercises can increase lung capacity and deliver more oxygen to the blood. Good breathing creates a more alert mind, helps the digestive processes and relaxes the body. Conscious breathing has another important benefit. Conscious effort swiftly shifts control from animal intelligences to RI. The longer you follow any process consciously, the greater the possibility of stilling your mind. That is why counting sheep, or just counting alone, can quiet your mind and make sleep easier. Sit, or stand in a relaxed position. Slowly inhale through your nose. To keep your mind from playing truant, count upto five, or, just feel the air flowing in. As you breathe in, your shoulders will rise. Increase your lung capacity by expanding your abdomen. When you breathe in, practice the expansion of your abdomen as a habit. It is actually the key to good breathing. When you exhale, push the stale air out by squeezing your stomach down in the pelvic area. This muscular action (stomach pumping) has the beneficial effect of activating the organs in your stomach, improving their functioning. Repeated stomach pumping also disperses any excess adrenaline, which may have been triggered by stresses. Use stomach pumping, whenever you feel under any stress. It is inevitable that, now and then, you think you made an awful mistake. You can't face the consequences. Cycling drives of panic hit you. These are occasions, when stomach pumping is only a temporary solution, because of the persistence of the perceived threat. At such times, conscious breathing alone can still your mind. Sit in a relaxed position and breathe consciously. Count, or feel the breath. Slowly, your RI will take charge and the cycles of panic will be stilled. Then you can come to terms with the threat with the Self Improvement Plan.